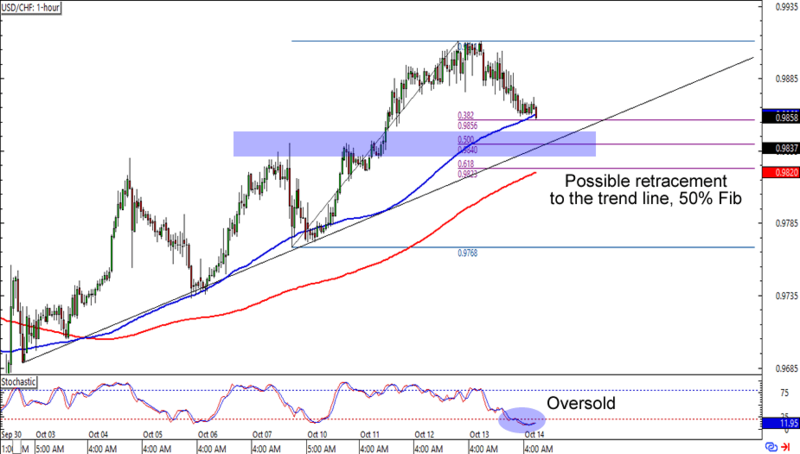 After finding resistance at the .9900 area, USD/CHF looks set to go back to the .9835 levels. What makes the area interesting is that it lines up with not only a rising trend line and previous resistance, but also the 50% Fib as well as the SMAs on the 1-hour time frame. Oh, and check out stochastic chillin’ like a villain on the oversold region! A long trade around the Fib retracements could get you decent pips especially if you aim for the previous highs. Just make sure you place your stops well below the support levels, aight? (Almost) breakout alert! 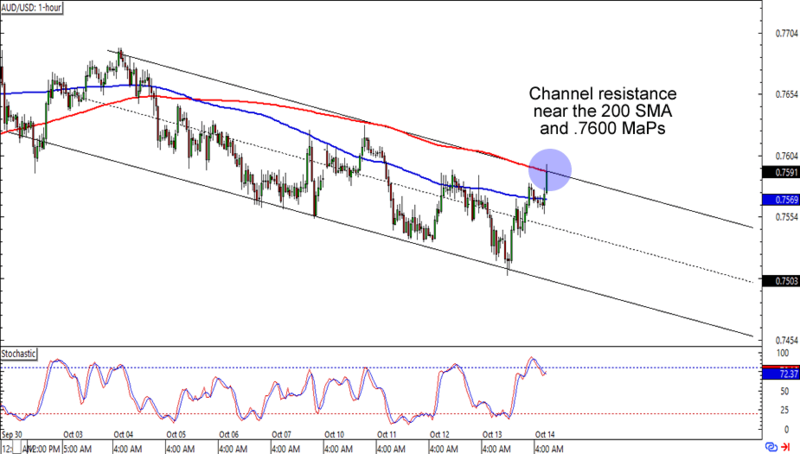 AUD/USD is currently testing the .7600 major psychological handle, which is right smack at a falling channel resistance and 200 SMA on the 1-hour time frame. Shorting at current levels presents a good reward-to-risk ratio especially if you think that the pair will go back to its .7500 lows. If you’re one of the Aussie bulls though, then you can also wait for a break above the level before putting on your long trade orders. Last one up for this batch of charts is another trend play, this time on NZD/CHF’s daily time frame. The pair has just bounced from its channel support and it looks like it’s gunning for the .7100 major psychological handle. What’s interesting about the area is that it’s around a falling channel resistance as well as the 100 and 200 SMAs on the chart. Not only that, but stochastic is also about to hit the overbought territory. 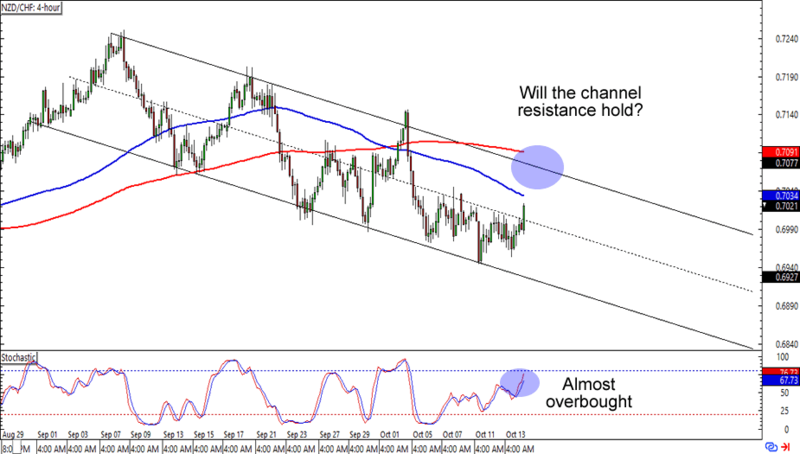 Think the Kiwi will soon see some losses against the franc? Keep close tabs on this one, fellas!